One of the most frustrating things about website conversion testing is figuring out what to test. Although every website is different, ECommerce websites share some common elements that should always be tested. These elements have proven to affect sales on an eCommerce website regardless of the products or services being sold. Note that in all of the below cases, you could test whether the element should be included at all on your ECommerce website. Or, you could test where it appears on various pages of your website including the home page, product category page, product detail page or various pages throughout your check out process. With that in mind, testing these ten elements will keep you busy increasing your ECommerce sales for a long while. Online buyers are even more concerned than off-line buyers that they are going to get a bad deal. They fear they will buy the wrong solution. That it will arrive damaged or turn out to be the wrong size. Offering a highly visible guarantee, particularly on the product detail page, can go a long way in turning a nervous browser into a buyer. 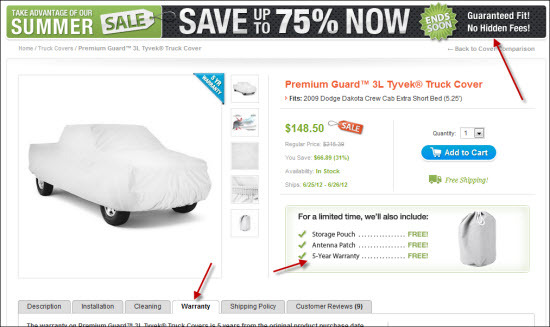 BuyAutoCovers.com has three distinct places where they highlight their guarantee and warranty on the product detail page. 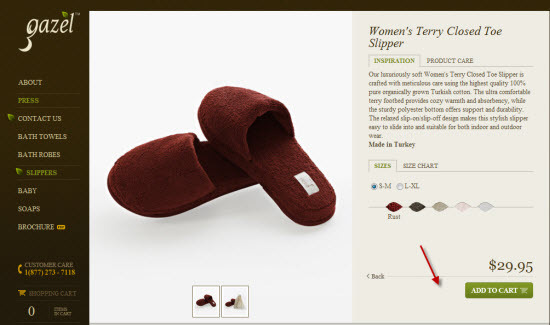 Online shoppers can’t hold the product in their hand like they can at the retail store. 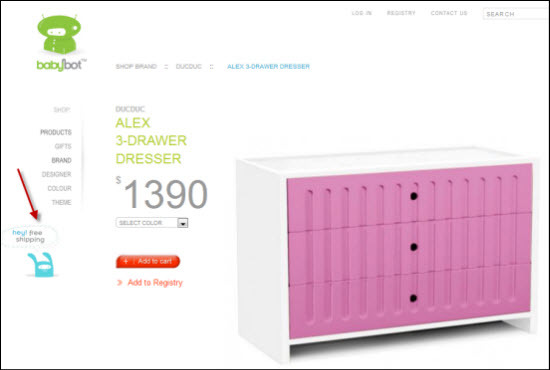 As a result, reassuring them that the product they are looking at is indeed in stock can create a conversion. If your ECommerce software has the capability of maintaining inventory and displaying the level of inventory on the product detail page it may make sense to integrate that on the page. At what point in the buying process do your buyers begin to wonder about the cost of shipping? 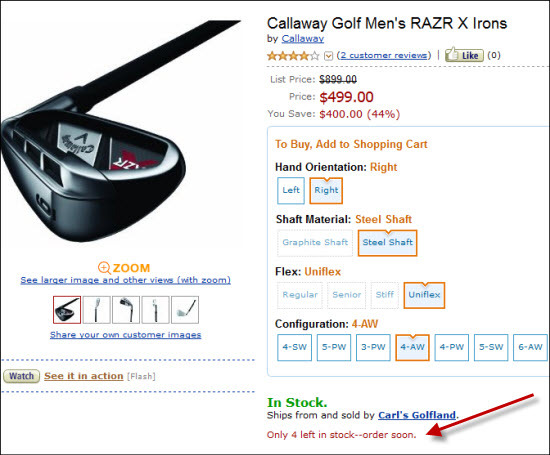 If you offer “Free Shipping” it may make sense to display that early on in the process, maybe even on the home page. BabyBot uses a cute little bunny mascot character that is a different color than the rest of the design to display its free shipping offer. The bunny’s head raises from inside of his hole to communicate the offer. Online buyers trade convenience (and other benefits of shopping online) for immediate gratification. They know that aren’t going to receive the product instantly. But that doesn’t mean they don’t care when they will receive it. Even if your shipping speed is less than ideal, it may make sense to display it prominently. Shoppers are wondering how long it will take to receive the product and failing to answer the question might be a worse option than being up front and honest. 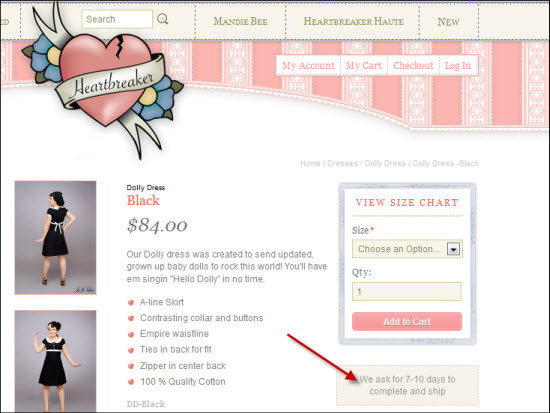 Notice how Heart Breaker Fashion displays their shipping speed despite the fact that it is less than ideal. 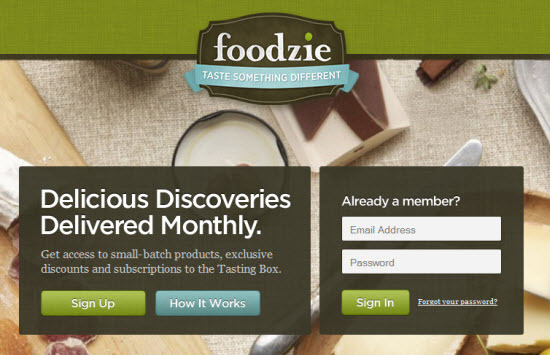 The presence and the placement of reviews is something that can have significant impact on your conversion percentage. It’s usually not a matter of whether to include reviews and other forms of social proof on the page, just a matter of where to include them. 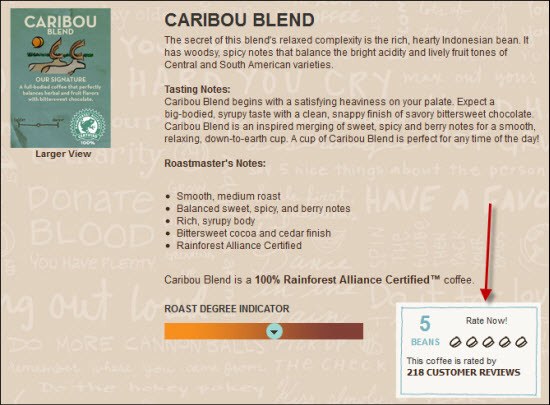 Caribou coffee places their review box in a prominent place to increase conversions. If you sell high ticket item products, offering financing terms might get buyers over the hump. 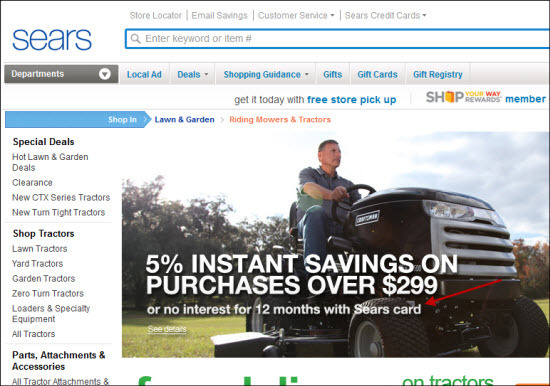 Sears offers financing options for high end items. Payment options are something that you will display eventually in your checkout process. But how early in the process should these payment options be placed? On the home page? On the product detail page? Would Gazel benefit from displaying their available payment types on the product detail page? We’ll never know unless we test it. Websites like GroupOn and AppSumo have proven that requiring an email address to access what they have for sale can work. It’s a big gamble but the potential pay off is huge. If you are able to grow a large email list to which to extend your offers, the benefits of restricted access might outweigh the damage that is done by requiring an account be created. Particularly if you are not an online brand name (like Amazon) you may benefit from making your customer service contact information very visible. Would Doorstep Dairy benefit from putting their customer service phone number on the product detail page instead of burying it in their FAQ section? We will never know until we test it. 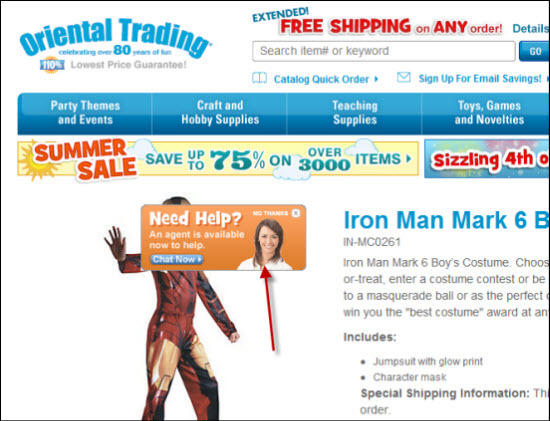 Notice how Oriental Trading places a pop-up box asking you to start a live chat to answer questions. If one of your goals is to increase the overall basket value of purchases, offering related products is a good place to start testing. 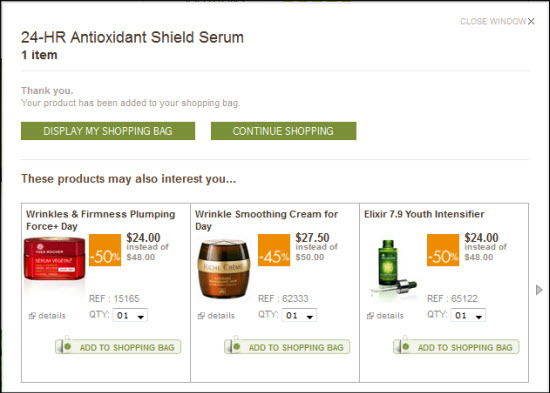 Yves Rocher does a nice job of displaying related products as you check out of their ECommerce storefront. For many of the above elements it is not a matter of ‘if’ but ‘where’ and ‘how’ to place these elements. For others, it may not make sense to display them at all. Conversion testing gets the best results when it is not treated as an event but as a process. Continual testing is the ticket to higher and higher conversion rates. With the above checklist of ten items, the testing variations you have before you are limitless.